IOCL Recruitment 2019: Indian Oil Corporation Limited (IOCL), has published notification for the recruitment of Apprentice vacancies applicable to the states of Gujarat. How to Apply: Eligible candidates may apply online through official website www.iocl.com on or before the last date. 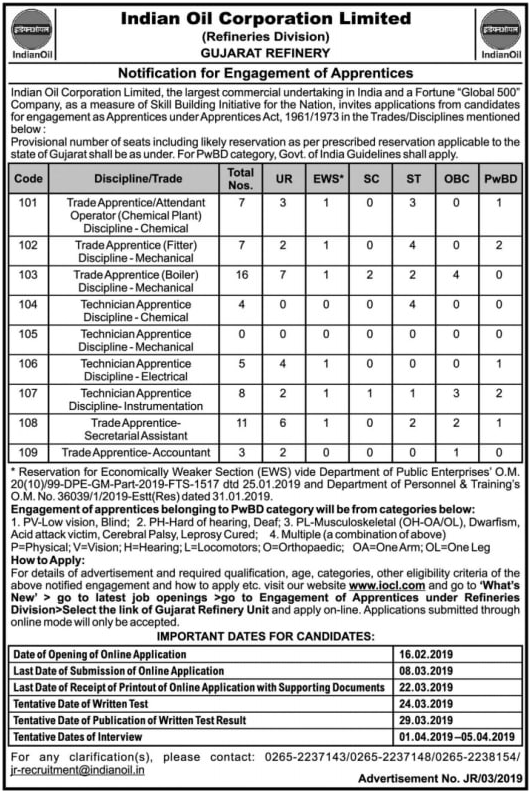 0 Response to "IOCL Recruitment 2019 – Apply Online for Apprentice Posts (Gujarat Refinery)"